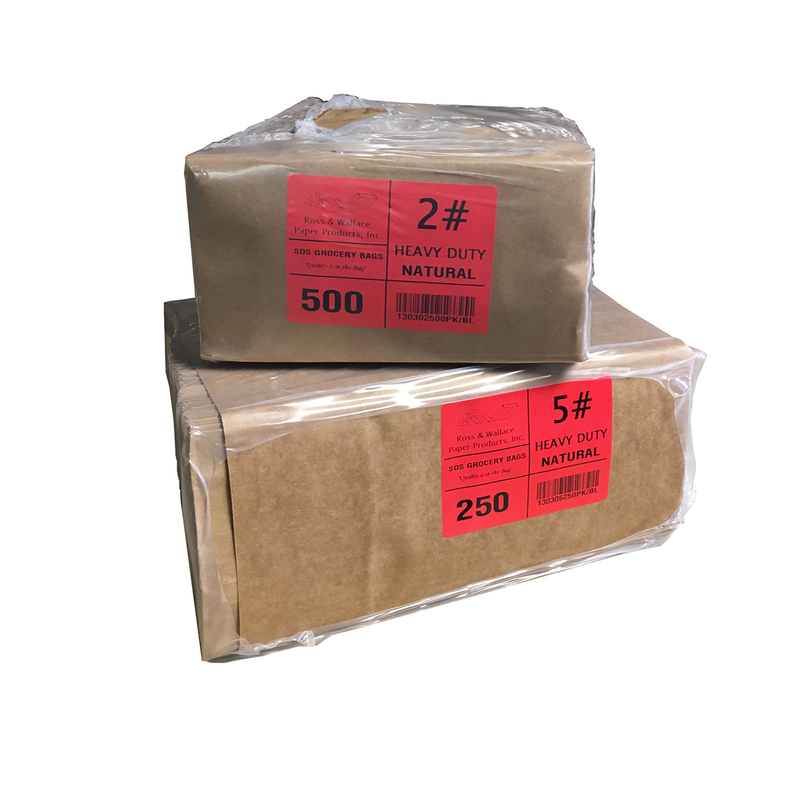 Heavy Duty Bags — Ross & Wallace Paper Products Inc. Manufacturers of high quality paper bags and paper rolls for 65 years. Ross & Wallace's Heavy Duty Bags are a classic SOS style bag made with a heavier basis weight of paper. Ross & Wallace offers two packagings options for Heavy Duty Bags. Choose between a traditional paper wrapped bale or a plastic wrapped 500 pack. 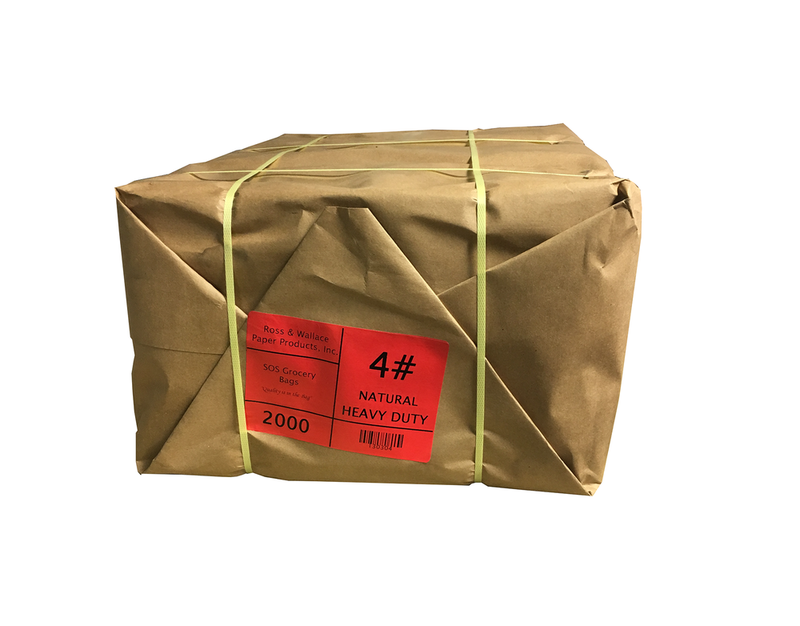 Additionally, some sizes of our Heavy Duty Bags are available in 250 packs for your convenience. To make receiving and order picking easier and more accurate, we offer scannable bar code labels.